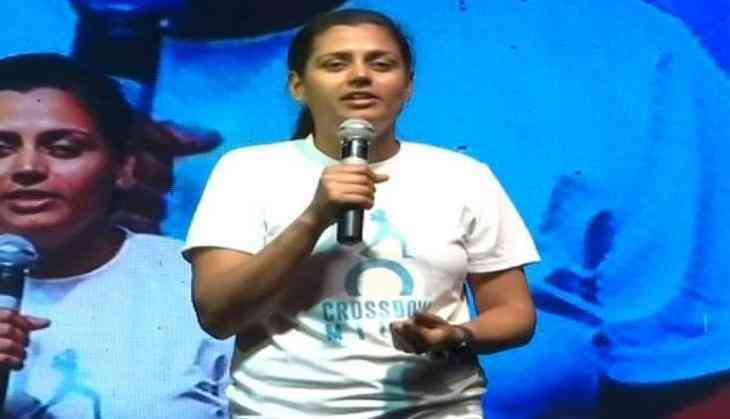 Srishti Bakshi, who has embarked on a walking mission to cover the entire stretch from Kanyakumari to Kashmir- on foot, mobilising citizens along the way to make India a safer country for women, took out her 'The New Delhi Night Walk' initiatives in Delhi. As part of the Delhi leg in her journey, Bakshi on Sunday raised awareness about her campaign on Women's Safety and their Empowerment through Digital and Financial Literacy' at the India Gate Lawns yesterday. Bakshi walked from Uttar Pradesh's Greater Noida, at 10 p.m. towards Delhi's Geeta Colony as a part of 'The New Delhi Night Walk' initiatives. Thirty-one-year-old, Bakshi was accompanied by a group of men and women, holding placard on women safety. Talking on the occasion, the activist said that change can only be brought in the society when one brings the change within oneself. "This is an initiative that I started alone. But now around 25,000 people are supporting us. We are in the 21st century and even now we have to face crime like child marriage and dowry. Change can be brought one by one," she said. She also stressed the need to change the mindset of the people, in order to stop the violence against the women in the society. The camping in Delhi was organised in collaboration with the National Commission for Women (NCW). Bakshi has named her mission to cover eleven states, 3,600 km and 260 days, from Kanyakumari to Kashmir as CrossBow movement. She has covered 2,800 km spread across nine states, and from Delhi, she will walk across Punjab and Haryana, then will enter Jammu and Kashmir. Bakshi started her journey in September last year.